Calvin is FLEXING IT today in his Moneyball team… so which players is he doubling up on? Exclusive to ONLY DT Talk users, be sure to enter this free contest tomorrow. If you have the highest score for the day, not only will you have $20 added to your account but if your score is the highest for the year… then the tickets are yours. Although Menegola clogs up a midfield spot, he’s comes into this with some hot form of 126 and 128. This game has his name all over it and based on what he has done to the Dockers in the past, he will be massive. He scored 124 against them last year and should be safe for another 120 without breaking a sweat. Debuted last week for a great 85 and will take the reins for the Saints once again with all their talls on the sidelines. He’s up against the returning Big Boy McEvoy though and this one will be a little tougher. But still, he had 18 disposals and 27 hit outs last week and looked the goods. At the end of the day, at $4.3K, let’s take a 70+ from him and move on. YES! You just have to do it (at least in one of your teams today anyway). Michael Barlow is in for the first time this year after smashing the NEAFL competition to pieces averaging 152 and 42 disposals from 8 games this year. Tore them a new one! 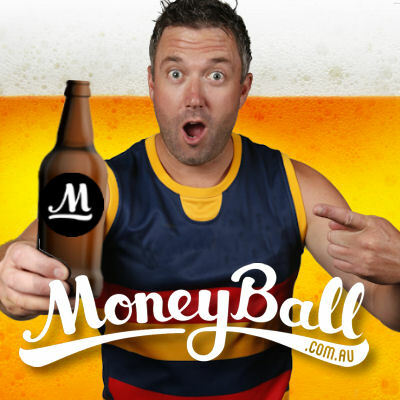 Barlow is royalty in Fantasy football and at the end of the day, he’s only against Brisbane. Over his career they haven’t been one of his favourite teams but he did score 90+ in his last three games against them. It doesn’t matter – lock him in for sentimental purposes. Yep, Abbott is a must have, just like Pierce today and therefore you should load him up in the FLEX option within your team and play two ruckman. After a strong 93 on debut, Abbott is back in the side to take over the rucking duties again. He had 27 hit outs and 10 touches that day and goes head to head with fellow inexperienced ruckman, Freo’s Sean Darcy. Another rookie to consider is Hugh Goddard (DEF, $3,800) as well. He hasn’t played since 2016 and when he was playing his Fantasy scores where pretty bad though. He’s in for a reason and if you need to save some coin, he’s another cheap guy to consider. The Suns’ defence is a rabble and last week Jack showed what could be done against them. Now, I’m not expecting 192 from this skinny rake, but he is coming off a 70 (3 goals) last week against a harder Collingwood team. He is a huge roughie today, who could be anything from 40 to 120. Worth a punt in at least one of your teams at his price which isn’t much more than a rookies. He’s cheaper than Zorko, Ablett, Ross and Whitfield, and today I have him beating all these guys with a 140+ score. Although Gaz came into my team yesterday, he hasn’t scored over 100 against the Dockers in his last three games but surely that changes here. This battle is a do-or-die game for the Cats and Dangerfield will be out to fire like he has done in recent weeks with scores of 126 and 128. The Dockers are one of his favourite teams to dominate, averaging 132 against them in his last four games. At home (more so last year), Danger can turn it on big time and today, I can not see a single reason as to why he won’t smash the Dockers just like he has in the past. Last week I beat the three guys Calvin, Roy and Warnie with a score of 2447. I think it’s the first time in about ten or eleven years I’ve beat the three boys scores and last night I had Dusty, D Smith and Merrett so yeah I;m pretty happy with my scoring. Just my Ranking isn’t the best Ranked 12087 overall.